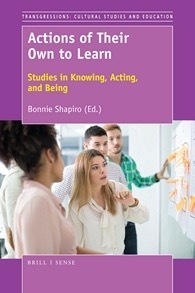 Actions of Their Own to Learn: Studies in Knowing, Acting, and Being is an edited volume of fourteen essays which explore the question of what it means to take actions of one’s own to learn. Taking action to learn happens within both formal and informal settings; it also happens during the process of building new knowledge as learners pose questions about the world and design new ways to collect and analyze information to answer those questions (4).The researchers argue that “a conception of what it means to learn must be framed as part of a larger process of building understanding that involves more than the mind” (4). In this constructivist worldview, learning “is a process in which learners are actively involved in the mental construction of ideas using prior knowledge and experiences as a foundation” (6). Building understanding (can) include participants working simultaneously as researchers, teachers, and learners (5). The book is divided into three sections: (1) the power and agency of the learner, (2) active learning with others to build knowledge and community, and (3) the environments that support active learning. In section one, through the use of a mutual learning process, researchers themselves take action to learn and understand the emerging values of the communities they study. For example, White uses autoethnography (and a carbon footprint calculator) to document changes needed to reduce her carbon footprint. She then uses her learning to design a curriculum to help her students take action to reduce their own carbon footprints. As a Provincial Parks educator, Den Hoed challenged “top-down, political, disciplined” educational processes by using Mezirow’s basic theory of transformative learning to “teach for change.” In so doing, he helps his students transform sets of fixed assumptions and expectations to be more “inclusive, discriminating, open, reflective, and emotionally able to change” (63, quoting Cranton [Understanding and Promoting Transformative Learning, 2006]). In section two, scholars who construct knowledge-building communities among disparate groups of learners (grade-school children, physics teachers, math students) have discovered that improvisational co-action, in which ideas “become taken up, built upon, developed, reworked, and elaborated upon by others,” enables shared understandings and learnings that are collectively determined: the class as a whole becomes “the body that learns” (138-140). Towers and Martin discover that improvisational learning, listening authentically to children’s ideas, and building trust helps both teachers and students evolve to see themselves as collaborators rather than competitors (12-13). Finally, section three describes environments that support active learning, including classrooms where students are in control of decisions about how scientific inquiries will proceed, and another, where people come together and create film and photographs (photovoice) to educate, build awareness, and encourage political action. These processes help students develop a deeper connection with course content (208). This book presents a variety of qualitative approaches (narrative, interviews, autoethnography, case study) to activist learning in multiple and variegated learning environments. The scholarship affirms teaching that is firmly student-centered, where teacherly authority is decentered, and power between students and teacher is shared throughout the life of the learning cycle. 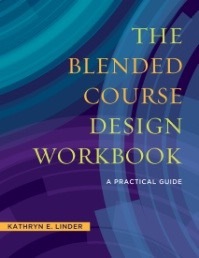 For the faculty member transitioning a course from face-to-face (F2F) to an online or blended learning environment, Kathryn Linder’s workbook is a wonderful resource. After opening with a couple chapters reviewing the key components of backward course design, developing appropriate course learning objectives, and assessment, the remaining chapters provide a step-by-step guide for an instructor to convert a course from a physical to a virtual teaching space. The chapters cover a variety of topics including effective learning activities, assessment methods, creating a social presence, using and creating multimedia, and social media engagement. Each chapter contains a short introduction to the pedagogical theory behind the topic (What Do We Know About…) followed by a series of guiding questions, worksheets, and templates for incorporating the theory into course development (A Step-by-Step Guide to…). After a summary of the key ideas, there are questions for faculty and administrators, followed by a graphic that illustrates course design steps and additions. Online resources are often noted for additional planning. An instructor or administrator is provided with all the tools and resources necessary for working through the process in a hands-on, orderly fashion. Another strength of this book is Linder’s ability to translate and explain technological tasks reasonably for the technophobe. 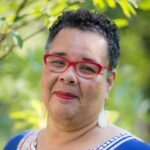 Without talking down, she methodically explains technical components in understandable and achievable action steps for readers. Equally important, she recognizes that schools use different types of technology (for example, Learning Management System), and identifies the major software, programs, and platforms available, accounting for this variety in her instructions. There is little to offer by way of criticism of the book. More than adequate appendices and glossaries complete an already copious amount of resources. The solid reference section supports the extensive research, clearly supporting the material. Given the practical nature of this workbook and its many ready-to-copy worksheets, it is strongly recommended for faculty members transitioning a classroom course to a blended or online delivery format. 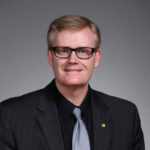 Likewise, academic deans leading a group of faculty through a similar transition process will find this a one-stop resource, especially if they are able to partner with an educational technologist. Baepler, Paul; Walker, J.D. ; Brooks, D. Christorpher; Saichaie, Kem; and Petersen, Christina I. 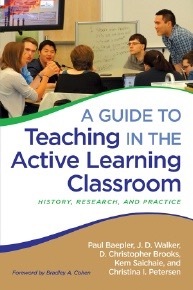 This book examines a particular type of classroom organization known as the “active learning classroom.” This type of classroom is not a lecture hall, but rather, is a room where there is no clear front or back, where students sit in movable chairs around round tables that facilitate group work shared with the larger group via screens. 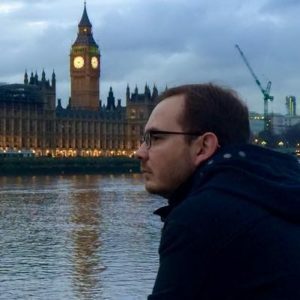 The very organization of the classroom forces the professor to have their back to at least some of the students all the time. This type of classroom interaction seems to be designed for larger class sizes, helping to transform a large lecture hall of students into a classroom where teacher and student interaction, as well as student-to-student interaction, is maximized. These types of classrooms have been shown to have a positive impact on students’ grades, which could be attributed to the room configuration inhibiting certain negative activities while encouraging positive ones. Active learning classrooms provide four main advantages: “immersion learning, the social dimension of learning, collaborative learning, and the performance aspect of teaching and learning” (16). Teaching in an active learning classroom is no longer just transmission of knowledge but a collaborative effort engaging the students for better and more long-term retention of knowledge. The subtitle of the book is “History, Research, and Practice.” The history of this method of teaching is covered in chapter one. The research that supports the practice is the focus of chapters two and three. Chapter two focuses more on the research aspects while chapter three focuses on the role that social interactions have in learning. The core of the book, chapters three through eight, gives practical suggestions on how to implement the teaching method, and presents common difficulties and how to overcome them. 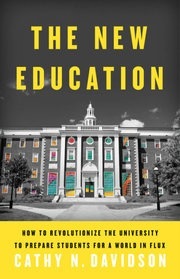 The last three chapters focus on how to help professors learn this method of teaching, a suggested methodology on how to study whether the change of teaching method had a positive impact on student learning, and what the future might hold for this teaching method. The book advocates a particular physical organization of the classroom. This is not up to the individual professors, but to the institutions in which they work. Even if one does not have the particular physical layout advocated in this book, there are a number of helpful tips for professors who seek to more actively engage their students. With chapters titled, “Assignments and Activities,” “Managing Student Groups,” and “Assessment and Feedback,” it is easy to find practical suggestions on how to make the classroom less didactic and more engaged. Each chapter has helpful and clear subheadings that make it easy to scan for the topic that one needs. Many of these methods are helpful in the religious studies classroom to help engage the student for a greater learning outcome. The examples in the book range from the sciences through to the humanities, helping a humanities professor get ideas on means of implementing the method in their own classroom.